If the Internet revolutionized the way we lived and altered the perception of distance by making the entire world a connected network, the mobile device ensured complete personalization. The mobile phone is not just a communication device; you can do literally anything through it: check your e-mail, listen to music, pay bills, catch up on entertainment and the latest news, shop online and, even better, play your favorite casino game; and you can do all of this at any time, and from anywhere. Mobile casino gambling is a thriving industry in South Africa because of the popularity that smartphones enjoy and the people’s familiarity with gambling. On this page we discuss the different aspects of mobile casino gambling in South Africa, including the features that these casinos come with, the advantages they offer, the software they use, the games you can play when you visit them, the importance of the welcome bonus, the concept of the virtual reality (VR) casinos, and of course, a list of the top mobile casinos that accept South African players. Mobile casinos are literally casinos that can be accessed directly from a mobile device. Most online casino software vendors have optimized their existing online casinos to suit play from a mobile device. At these casinos you get a good spread of games that come with full HD quality graphics and a chance to use all the promotions that are available at the desktop casino. There are also casinos that offer special bonuses for mobile casino players. ✓ Responsive design, which ensures all the elements on the screen fit automatically on the screen of your smartphone or tablet regardless of the size of the device screen. ✓ You get excellent payment support, which means you can make payments and withdraw winnings from your mobile casino account directly from your smartphone. ✓ Customer support is available too, usually through live chat, telephone or e-mail. ✓ Instant play mode; which means you can open the casino directly from the browser of your mobile device. There are also software vendors who offer a download version: this is usually a casino app that you can download from the app store of the mobile platform that your device runs on – Android, iOS, Windows Phone or BlackBerry. Once you are at a mobile casino all you need to do is sign up with it, deposit funds into your mobile casino account, choose your game and get to playing it – in free practice play mode or with real money – with the promotions available. Once you have won a bit and want to cash out, just click the payment methods you want to use. For any help you can contact the casino’s support team, as mentioned above. The popularity of mobile casino gambling has ensured that every online casino worth playing at has at least a mobile-optimized version, if not a full-fledged mobile casino. That can make choosing the right casino an intimidating task given the sheer number of sites to go through and the massive range of parameters to consider. We make the task of choosing your mobile casino simple by listing out the best of the lot for South African players. Our team of experts from the industry – players as well as reviewers – check every mobile casino that we come across for all the important parameters that players look for when searching for a mobile casino to play at. Every mobile casino that we list for you is, therefore, completely secure and offers reliable gaming with the use of RNGs that are tested and audited by credible third party agencies that work with the industry. They are all licensed at some of the best licensing jurisdictions worldwide and have everything going for them. There are great games at each of them, and fabulous promotions to play them with. The backbone of the smartphone casino software is HTML 5. This latest version of Hyper Text Markup Language facilitates video and audio features essential for casino gaming. It makes it possible to handle multimedia content on the web without having to use the earlier proprietary plug-ins like such as Adobe’s Flash. HTML 5 enables the games to load quicker, which adds value to phone casinos. Another big advantage of HTML 5 is the replacement of cursor driven operations by the tap, tab and swipe interface. The HD graphics and stereo sound make phone casinos perfect for gaming. Initially when the mobile casino emerged, the number of games available at each of these casinos was quite less. This is because casino software vendors could convert limited number of games from their existing desktop casino portfolio for play from a mobile device. Now all that is changing, thanks to the rapid advances in technology, culminating in the emergence of HTML5 as the tech platform of choice. The number of games available from each provider has gone up over the years. A huge factor that has resulted in a substantially increased game range is the multi-platform casino model – mobile casinos that are powered by software from multiple vendors. This ensures you get the top games from all the leading providers in the industry at a single casino. The biggest chunk of games in a mobile casino’s portfolio of games are the slots. They come with exciting graphics and loads of features and promotions. The number of slots you get to play at a mobile casino depends purely on the software. If you are looking for a mobile casino with a massive slot collection, our advice would be to stick to multi-platform casinos. There are different kinds of slots to choose from, including classic slots, video slots and jackpot slots. Other games at a South African mobile casino include video poker and scratch cards. Nowadays, technological advancements have resulted in the arrival of live dealer games too. Among the most popular games at these mobile casinos for South African players are blackjack and roulette, of course. Except for live dealer games, all these categories of games are available usually for both free practice play and real money play. ✓ Tap the Register Now or Sign Up button on the landing page of the mobile casino. ✓ Choose a username and password for your account. ✓ Choose the currency you want to transact in. In this case it would be South African Rand (ZAR). ✓ Provide the casino with all the required details like your e-mail id, name, age, residential address, phone number, etc. ✓ Click the Submit button to complete the registration process. ✓ The casino will send you an e-mail verification link to the mail id you have provided. Tap this link to verify your account and get started. ✓ Tap the Cashier button. ✓ Tap the Deposit option. ✓ Choose the deposit method from the listed available. ✓ Enter the amount you want to deposit. ✓ Tap the Submit button. ✓ The money gets deposited into your mobile casino account almost instantly. While slots and all the other games are real fun to play at a mobile casino, using the promotions offered, another area that needs discussion is the payment process. Players get different payment methods to choose from. The most commonly used deposit method among South African players is the credit card. There are other options available as well, including debit cards, e-wallets, prepaid cards, direct banking methods and more. All the top South African mobile casinos that we list come with exciting promotions, including a juicy welcome bonus that varies from one casino to another. There are other bonuses to choose as well once you have used up your welcome bonus: reload bonuses, cashback bonuses, match deposit bonuses, free spins, surprise gifts and more. All these bonuses come with key terms and conditions. The most important of these are the wagering requirements. You must wager the bonus or the bonus + deposit amount specific number of times to be able to retrieve your winnings from the bonus. There are also other terms to be fulfilled, including maximum cap on winnings, minimum qualifying deposit, eligible games and others. ● The experience is completely personalized, and you can literally play on the go. ● The graphics and animations are of very high quality, even better than the desktop version at times. ● The use of touchscreen technology allows you to tap and swipe your way through. You no longer have to click through the pages or depend on a cursor. ● The games load fast and there is no freezing or jerking of the images. Playing at the Top Android Casinos on Your Samsung Smartphone or Tablet All the top mobile casinos accepting South African players are compatible with the iOS and Android platforms. When it comes to playing at an Android casino, the most preferred device option that people go for is usually from Samsung. 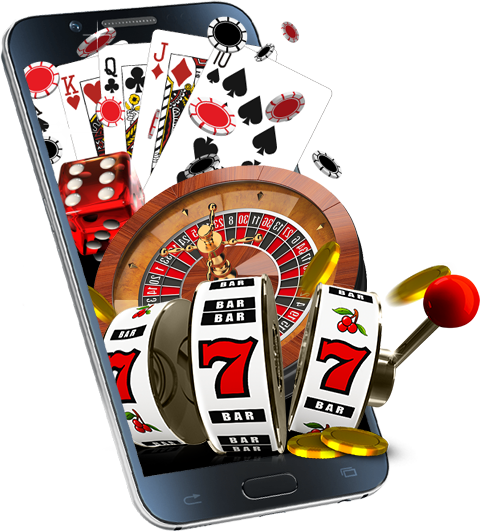 There are a number of reasons why Samsung devices are among the most preferred Android mobile casino devices. The first is the extremely high quality of graphics and animations. The games load extremely fast thanks to the high quality of gadgetry in the device. The software gets updated regularly, and at frequent updates; this means you are guaranteed the latest in terms of technology when you opt for a Samsung device. Many players look for the experience of a land-based casino when they log in from their mobile device, and are disappointed when the offering doesn’t match their expectation. Thanks to the amazing level of innovative technology available software vendors are able to bridge that gap and fulfil the player’s expectations by providing him with a virtual reality mobile casino setting. The process is the same: you open an account, deposit funds and log in, but the ambience is just like the one at an actual land-based casino. The overall environment is a 3-dimensional one and you can interact with other players on the floor there as you play. Some of the leading providers of virtual reality gaming gear over the years have been Oculus Rift from Facebook, Stream VR from Valve, the PlayStation VR and Vive from HTC.